The Consumer Electronics Show, now referred to simply as CES, has been the best place for automakers to show off their emerging tech in recent years. From new electric vehicles, to autonomous software and hardware and even flying cars, CES usually produces a flurry of futurism-related news, but this year, things were a bit quieter. The world’s automaker’s didn’t show off any extravagant new self-driving concepts this year, or boast about any forthcoming ride-sharing efforts. Major automaker and supplier announcements were mostly limited to things like V2X technology, facial recognition, in-car AI assistants and virtual reality. After years of touting idealistic technologies at CES, it’s now time for automakers, suppliers and tech companies to deliver on their lofty promises. Presenting ideas about Level 4 and Level 5 autonomous amid the glitz and glamor of Las Vegas was the easy part, now they need to get to work. And as anyone who has been following along knows, autonomous cars are proving to be more difficult to perfect than experts had initially thought. But don’t take it from us, take it from John Krafcik, the man in charge of Google’s self-driving car project Waymo. Krafcik was honest enough to come clean about the realities of self-driving tech at a recent conference hosted by the Wall Street Journal. That reality being that full Level 5 autonomous vehicles that can operate without any human input and in all weather conditions “might never exist.” He also said that “autonomy will always have constraints,” related to weather, as sensors and cameras work poorly in rain, snow and other inclement conditions. Don’t tell General Motors that. 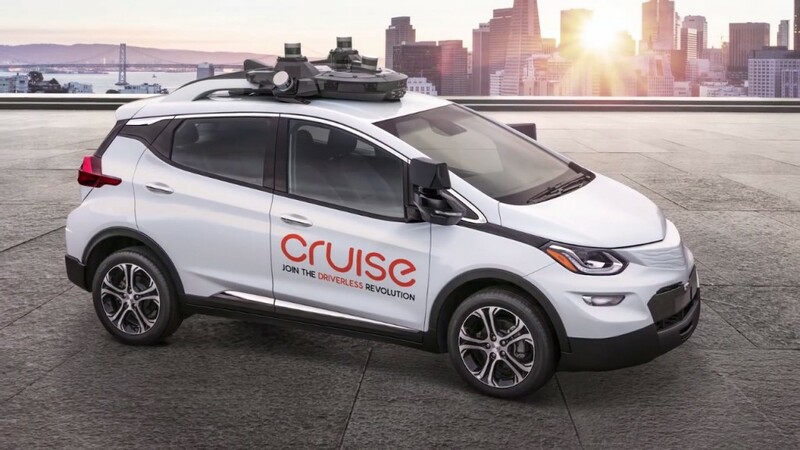 When the automaker debuted the Chevrolet Bolt-based Cruise AV concept with no steering wheel, it said it had the intention of making Level 4 autonomous driving a reality, with the goal of eventually reaching Level 5 in the distant future. We’re curious what Cruise Automation engineers would say about Krafcik’s comments. This year might have been slow, but CES is still an ideal venue for automaker’s to show off their latest electric vehicle advancements and in-car entertainment tech, so the auto industry will likely remain interested for many years to come. We’re willing to bet you’ll hear a lot less about Level 4 and Level 5 autonomy at CES going forward, though.